05.09.2014 - The Chairman of the GPM Deutsche Gesellschaft für Projektmanagement, Reinhard Wagner, recently wrote an article in the GPM Blog entitled “IPMA or IAPM – Original or Copy“, (read it here: gpm-blog.de/ipma-oder-iapm-original-oder-nachahmer/), which we would like to comment on. In his article, Mr Wagner more or less directly alleges that the IAPM International Association of Project Managers deliberately used a combination of letters as the abbreviation for its name so that it would easily be mistaken for the IPMA International Project Management Association. He concludes that the IAPM wants to ‘headhunt’ project managers who really want IPMA certification and mistakenly contact the IAPM. We categorically reject this and would like to make the following comments in this connection. The IPMA has existed in its current form since the Council of Delegates in Oslo in 1994. The IAPM was founded a short time later, in 1997, by a small group of project managers. Their objective was to establish an organisation that was genuinely oriented on the needs of modern project managers. At that time, the IPMA wasn't a widely known organisation, and this lack of widespread awareness meant that copying the name for the reason stated by Reinhard Wagner would not have made sense. The IPMA did not obtain trademark protection for its name until 2010, the same year in which the IAPM obtained trademark protection. Subsequent attempts by the IPMA to seek an injunction against the IAPM failed and the case was dismissed. It is correct that the two organisations’ registered names are similar. However their certification concepts differ in important respects. The IAPM’s certification examinations are online, while the IPMA’s are taken at an examination centre on paper. Candidates who don’t feel adequately prepared for the IAPM examination can take part in a course with IAPM-certified trainers and complete an online self-test to identify their weaknesses. Certified Agile Project Manager (IAPM) and Certified International Project Manager (IAPM) certifications are exclusively offered by the IAPM. Another sore point is that the IAPM does not require certificate holders to undergo a re-certification process in order to extend the validity of their certificates. Our policy in this connection is clear. Once certified always certified. We believe that a project management certificate should be a lifelong qualification, just like A’ Levels or university degrees. Project managers who work in a project management environment have to keep up to date on developments by attending courses and workshops in the same way that professionals in all other lines of business do. Irrespective of this, no other qualification such as a state examination has to be re-taken. The IPMA’s certification baseline, the ICB, has not changed in terms of content in recent years, so there is nothing to justify re-certification. In our opinion, the only benefit of re-certification is the income that it provides to the certifying organisation. Furthermore, the IPMA‘s ICB still serves as the basis for the national organisations‘ National Competence Baselines (NCB). The national certification processes are then developed from the NCBs. As a result, the certification procedures for the various levels differ from national organisation to national organisation. The only thing they have in common is that all certificates state the specific level of certification – Level D to A. In contrast, the IAPM offers identical certifications all over the world, whether they are obtained in Brazil, the USA or Germany. Certification candidates around the world have to fulfil the same requirements and take the same examinations, so an IAPM certificate has the same value in every country. 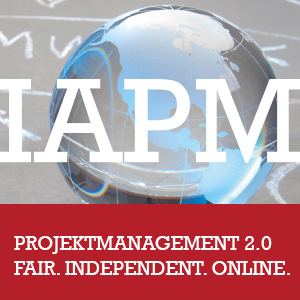 The IAPM offers a comprehensive and global certification system for conventional, agile and international project management in English and German. The IAPM is an organisation without membership fees. Anyone who is interested, not just IAPM certificate holders, can attend Network Meetings - most of which are provided free of charge - and actively participate in the IAPM. This is another important difference between the IAPM and the GPM/IPMA. People who are interested in playing an active role in the IAPM’s work can become IAPM Officials and attend the annual meetings, have personal contact with the IAPM‘s staff and participate in our project manager community. So the IAPM isn‘t an association where every certificate holder has to be a member and pay a membership fee in order to be actively involved. The many obvious differences between the IAPM and the IPMA rule out any talk of it being a ‘copycat‘ organisation. Mr Wagner also wrote that the GPM/IPMA certifications are DIN EN ISO/IEC 17024:2012 compliant and that the GPM is accredited as per DIN EN ISO/IEC 1702 by the DAkks German Accreditation Body and certified as compliant with ISO 9001:2008 by TÜV NORD, as well as being validated by the IPMA and therefore internationally recognised. However, the certifications listed by Mr Wagner are only offered by the GPM. All other IPMA national organisations either don’t have a certification body or, if they do have one, they only state that the certifications are validated by the IPMA and, in exceptional cases, are certified under the QM standard ISO 9000. However, no further certification such as ISO/IEC 17024 is stated, nor is accreditation by DAkks or an equivalent organisation. Furthermore, all the IPMA national organisations have different examinations. Even in German-speaking countries no two examinations are alike. As already mentioned, this is not the case with the IAPM. Mr Wagner also wrote that the GPM/IPMA don’t just test the candidates‘ knowledge but also their experience, which gives the impression that the IAPM does not do this. The IAPM has both basic and senior-level certifications. In the senior-level certifications, professional experience is a certification requirement that is checked by the IAPM. 90% of the certificates issued by the GPM are Project Management Practitioner (Level D) certificates, for which NO experience is required. At this level, certification is granted on the basis of knowledge alone, which is also the case with the IAPM basic certifications. Thus, the allegation that a difference in quality exists between GPM/IPMA and IAPM certifications is unfounded. Mr Wagner‘s blog article is just one of many attempts by the GPM and the IPMA to put a spoke in the IAPM‘s wheel at every possible opportunity. In 2010 there was a hearing at the Office for Harmonisation in the Internal Market in an attempt to prevent the registration of the “IAPM International Association of Project Managers“ as a trademark. In 2013 the GPM followed up by alleging that the IAPM wasn’t just imitating the GPM’s name but also its product and service portfolio, and was therefore in breach of the law on unfair competition. Then, at the beginning of 2014, it announced that it would take legal action if the IAPM did not immediately change its name or the names of its certifications. All of these undermining attacks have been fruitless and the IPMA and GPM have not prevailed in any of the issues addressed. All in all, there are very few similarities between the IAPM and the GPM/IPMA. In fact, the differences clearly outweigh them. This applies to the trademark law situation, the certification levels, the organisational structures and the philosophies that they represent. The IAPM offers project managers genuine added value and is an organisation run by project managers for project managers that focuses on their needs rather than the association’s needs. We therefore defend our online certification concept which dispenses with re-certification and instead offer new certification options and services whenever new project management trends make this necessary and possible.